Jessica Andrade is an odd case in the world of MMA. 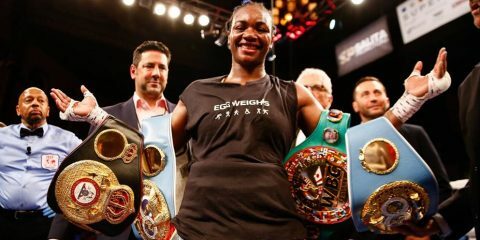 She’s a fighter who isn’t really at a high level in any one area of the sport, at least in regards to what she has shown in the world’s biggest promotion against the world’s best fighters. Yet, Andrade has been nothing short of breathtaking in her run in the strawweight division, where she has showcased a rare blend of physicality, dynacism and savagery that has taken her to a 6-1 record. 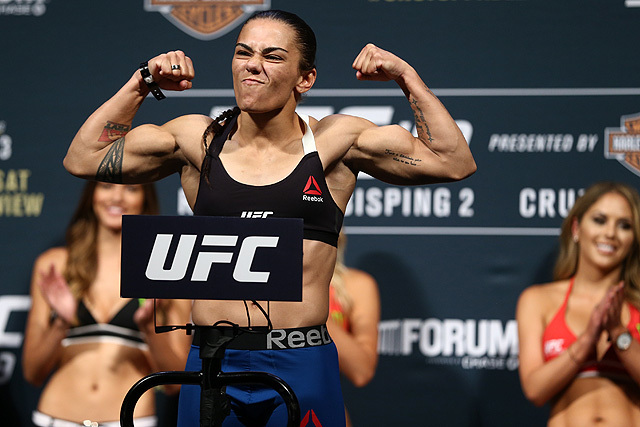 Andrade has battered and beaten Claudia Gadelha, Karolina Kowalkiewicz, Tecia Torres, Joanne Calderwood, Angela Hill and Jessica Penne on her quest to the top. Only former strawweight champion and pound-for-pound entrant Joanna Jędrzejczyk was able to enter the Octagon with the Brazilian and emerge victorious. Andrade’s reign of terror has largely been without any sort of elaborate, complex schemes or layered, nuanced technique, which makes her success even more amazing, if not outright confusing. Athleticism in and of itself has never been enough to allow someone to compete, much less win, at the highest levels of traditional sports or combat sports. So, let’s take a look at Andrade and what exactly it is that has allowed her to be so consistently dominant inside the Octagon. The beauty of MMA is that it really has no limits in regards to the nature or direction of the fights, nor in terms of the techniques used in the bouts. This allows fighters to navigate technical holes in one area by forcing the fight into another area where they can succeed. A fighter doesn’t have to be world-class in a particular discipline to have success. 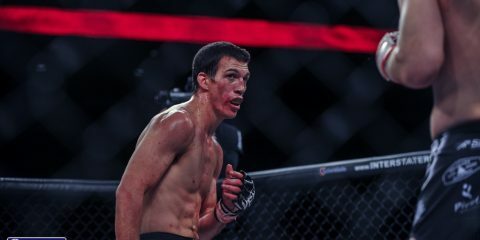 However, this freedom of expression, which isn’t limited by a ruleset or a range, creates an identity crisis for some fighters as they eschew their own tendencies, techniques, physical tools or areas of expertise in the hope of becoming well rounded. This well-roundedness is the secret to success in MMA. A fighter must have enough skills to force the fight into a pace, place or range where they excel. In many cases, fighters lose themselves when they ignore their physical gifts or world-class skills to showcase a new tool. In doing so, they end up with snapped winning streaks, lost titles, and career-altering defeats. Demian Maia, Ryan Bader and Ronda Rousey have all experienced this when they shifted away from their primary discipline in favor of a striking art. Andrade has never done anything like this. She and her teams have developed an approach that highlights her physical tools and a strategy that puts her in a position to maximize them, while exploiting the holes in the games of the various women in her division. The adjustments in her level of technique and the techniques used has been minor. Nonetheless, her techniques have been refined and applied within the overall structure of her game plan. Andrade has touched on using, inconsistently, a jab and has developed a commitment to the body that takes her opponent’s legs and their will. This also allows her to corral opponents who may seek to exit exchanges or circle away from her bullrushes of offense. Andrade knows she is best as a pressure fighter who sets a very high pace and builds on it. She leans heavily on aggression, physicality and volume, instead of defensive awareness, technical creativity or accuracy. There is something to be said for knowing what you can do, playing to it and finding ways to put yourself in positions to do what you do best. The best thing a fighter can do is become the best version of themselves. The fighters who have the most obvious and consistent success are the fighters with defined identities around which they build their styles and game plans. The aforementioned Jędrzejczyk is one such fighter. 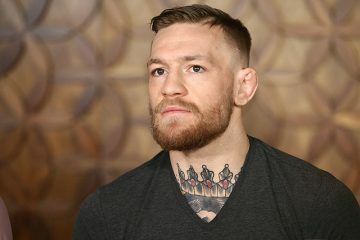 So, too, are Conor McGregor, Daniel Cormier, Max Holloway, T.J. Dillashaw, Henry Cejudo, Amanda Nunes, Cristiane “Cyborg” Justino, Kyoji Horiguchi and Tyron Woodley. These athletes have experienced success because they refuse to get away from who they are and what they can do. Andrade may be the most durable woman in MMA. She has faced a myriad of styles, body types and skill sets. Her body, legs and head have been attacked in many different ways, with varying amounts of volume and a variety of tools. Nonetheless, the Brazilian hasn’t been rocked, backed up or slowed down, nor has she had her forward pressure stopped. Andrade’s mental and physical toughness allows her to drain her opponent on two fronts. They exhaust themselves while upping their volume to keep pace with her and loading up on their shots in hopes of scaring her off or stopping her. Mentally, it’s taxing for her opponents. Since they aren’t able to back her up or stop her, their confidence begins to wane, as does their will to fight. They can’t get anything accomplished regardless of the amount they land, the spots they land in, and the power with which they land. Furthermore, Andrade is not fearful of any opponent’s power, which in turn allows her to throw without regard to defense. She can throw as much and as hard as she wants, because she’s not worried of what’s coming back at her. Jędrzejczyk’s volume and versatility couldn’t do it. The crisp boxing of Torres couldn’t break down Andrade. Hill’s explosiveness and speed had no real impact. Kowalkiewicz’s physicality and volume wasn’t enough. The Brazilian’s ability to soak up abuse without hesitation or decline has been one of the biggest keys to her success. When I work with fighters, I often tell them not to set a pace they can’t maintain or build on. This is partially about paying enough attention to detail defensively so you don’t get hit with a shot that puts your lights out or scares you to the point where you fight cautiously, which hinders your pace and aggression. Andrade has consistently been able to set a high pace and continue to build on this pace as the punch count rises. Her pace has consistently broken opponents down and exhausted their gas tanks. It also overwhelms their minds until they are completely defensive in posture and simply trying to survive. Andrade’s offensive technique has never been the greatest, but she can do what she does from round one all the way through round five. The execution does not necessarily improve, but the punch count and the pace do. This allows Andrade to experience success early. Andrade overwhelmed Kowalkiewicz, for example, and as her opponent faded and became a step slower on defense, they started getting hit with shots they weren’t getting hit with earlier. This approach also causes the Brazilian’s opponents to settle into a wider, less sharp and less effective offense. We were able to see this in Andrade’s fights with Hill and Penne. Andrade doesn’t knock out a whole lot of ladies. This is partly due to the predictability and lack of layers to her game that make it easier for opponents to get away from or defend her strikes, as was the case with Jędrzejczyk and Torres. More often, Andrade hits women and hits them a lot. If she was the puncher some make her out to be, then she would leave her opponents with a chalk outline around them at the conclusion of her fights. This hasn’t happened. What really separates Andrade is her physical strength. It allows her to bully girls even when she is getting the worst of the exchanges. It allows her to dictate where fights take place, even though her technical wrestling doesn’t say that should be possible. Even in clinches with superior clinch fighters, Andrade is able to physically manhandle them and hold her own, because of their inability to maneuver her to create openings for strikes or to get her off balance. Not only do opponents fail to back her off with power or volume, but they can’t physically create space by pushing her off or maneuvering her when they have a clinch. The ability to control and bully an opponent is a huge advantage for the Brazilian, who previously fought at flyweight and even as large as bantamweight. As a fighter who keeps a high pace and can’t be scared off with strikes, Andrade finds many opportunities to get her hands on an opponent. The ability to physically dominate an opponent makes it easier to navigate any technical holes in the stand-up. This can be seen when Andrade faced Calderwood and Torres. The Brazilian repeatedly took them down. She gained a decision win over Torres and submitted Calderwood. 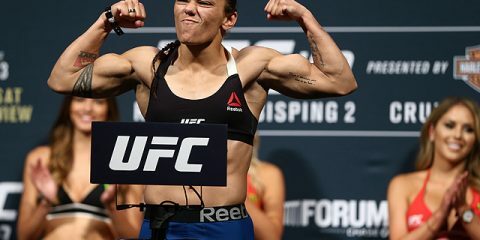 Andrade’s physical strength allowed her to repeatedly push Hill back and trap her on the cage before breaking her down under a fusillade of strikes. Andrade exhausted Gadelha in grappling exchanges and muscled her way out of takedowns before picking up Gadelha, slamming her and then mauling her fellow Brazilian on the ground. In four different fights against four different body types and styles, Andrade’s physical strength allowed her to neutralize superior strikers and then physically dominate the superior fighter. Andrade may not be one of the best mixed martial artists in the world. 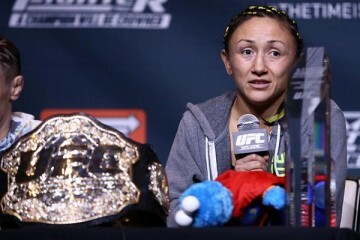 She’s not necessarily one of the best technicians in the world of MMA, either. However, the Brazilian is one of the best and most effective fighters in the sport. The things she does aren’t particularly complex, but the beauty of what she does is in its simplicity. Everything she does is built around and maximizes her strengths. Andrade exploits obvious holes in the games of her opponents. She has refused to fall into the trap of diversity just for diversity’s sake. Andrade has gotten close to the pinnacle this way. After her jaw-dropping first-round stoppage over Kowalkiewicz, the Brazilian has earned one more well-deserved shot at the strawweight throne. Many fighters have been gifted with great physical tools, but not all of them have had the discipline, confidence and awareness to use them not as a crutch, but as foundation to build around. These fighters are able to come up with a sustainable and reasonable style that allows them to compete at the highest levels possible. For this, Andrade must be acknowledged, admired and respected. She hasn’t let the lure of being well rounded move her away from who she is and what she does best.